SAN JOSE, Calif., May 12, 2009 - Cisco today unveiled Cisco® Unified Service Delivery, a solution to help service providers build a foundation for cloud services, while they transform the delivery of consumer and business applications to any place and device. Service providers worldwide can now take advantage of this new solution to combine the power of Cisco's data center portfolio and Unified Computing architecture with the capabilities of the Internet Protocol Next-Generation Networks (IP NGNs). With Unified Service Delivery and a next-generation IP network, a service provider can deliver video, data and video services from the data center, enabling it to substantially optimize resources, assure quality, significantly reduce operational costs, and deliver a better, more expansive and more secure virtual experience for their customers. The Unified Service Delivery extends Cisco's data center portfolio and is a critical step in the company's service provider Data Center 3.0 strategy, helping providers build a foundation for cloud services. Consumers and businesses are demanding new services and more from their network experiences. In fact, the increased demand for connected experiences has contributed to a projected 46 percent compounded annual growth rate (CAGR) in global Internet traffic, as estimated by the most recent Cisco Visual Networking Index (VNI). Launching new services poses challenges for service providers as traditional approaches do not quickly or cost-effectively accommodate such growth profitably. To address these service challenges and to enable service providers to take advantage of cloud-based services, Cisco is introducing its Unified Service Delivery. This solution combines the capabilities and benefits of the service provider data center with the Cisco IP NGN architecture to help service providers better optimize resources, reduce operational costs and deliver a highly secure virtual service experience for their customers. Cisco Unified Service Delivery incorporates leading data-center products such as the Cisco Unified Computing System and the Cisco NexusTM Switch, with a new data-center optimized configuration of Cisco's flagship router, the Cisco CRS-1 Carrier Routing System, and Cisco's wide range of IP NGN products. NEW: Cisco CRS-1 Carrier Routing System for Data Center. Two new Cisco 10-gigabit modules and a Cisco 40-gigabit forwarding processor for the flagship Cisco CRS-1 platform are being introduced. They are designed specifically to extend virtualization from the data center through the IP NGN core and to address the needs of peering and interconnect applications for a service provider's data centers. The Cisco CRS-1 platform and its new modules permit providers to virtualize traffic and network operations on a per-service or per-customer basis with a smaller Cisco CRS-1 footprint. This system design allows service providers to quickly adapt to changing customer needs, accelerate service delivery, permit better utilization of resources, and increase the return on investment. Cisco Nexus 7000 Series Switch and Cisco CRS-1. While the Cisco CRS-1 platform is purpose-built for the needs of the carrier network, the Cisco Nexus 7000 Switch is the flagship data-center-class switching platform combining Ethernet, IP and storage capabilities across one unified network fabric. Both platforms are designed to work in harmony with shared common characteristics for management, enabling Cisco Unified Service Delivery to increase its operational efficiencies and response for end-to-end service delivery. 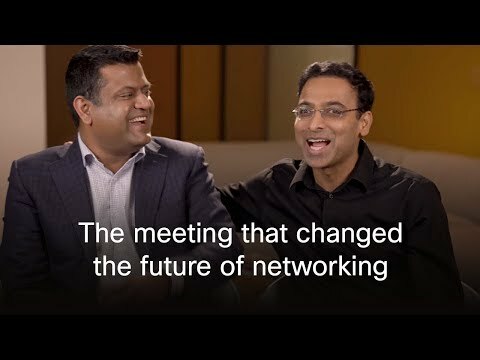 The Cisco Unified Computing System unites compute, network, storage access and virtualization resources in a single energy efficient system that can reduce IT infrastructure costs and complexity, help extend capital assets and improve business agility well into the future. Cisco Unified Computing System provides a pre-integrated, pre-engineered computing platform for service provider data centers. Purpose built for virtualization, Cisco Unified Computing System supports more workload and uses less power than any other similar offering, due to the reduced support infrastructure needed by the system. Enabling Virtualization for Service Providers: The Cisco Unified Service Delivery solution is optimized to enable virtualization within the data center, between data centers and across the IP NGN. The Cisco Unified Service Delivery solution is optimized to work with virtualization software and Cisco's ecosystem of partners to enable significant reductions in the cost to build, run and deliver new services. Enables greater power efficiency by a factor of 2. Produces between 5.49 and 6.99 times the four-year cumulative savings in operating expenditures on virtualized video infrastructure and between 5.3 and 5.86 times the savings in capital expenditures. Demonstrates twice the four-year cumulative savings in operating expenditures on virtualized unified communications voice infrastructure. "We have to serve a very diverse set of needs in Europe," said Kurt Glazemakers, Terremark's European chief technology officer. "We have designed our Infinistructure platform to overcome traditional data center limitations and to deliver capacity on demand with very strong economic benefits for the customer. Cisco's Unified Computing System approach matches our vision of how IT infrastructure will need to evolve in order to gain even greater efficiencies and performance." "The efficient delivery of highly secure cloud computing services places unique demands on virtualized environments," explained Martijn van Zoeren, director, iTricity. "By addressing virtualization and highly secure interconnection in the Unified Service Delivery architecture, Cisco is demonstrating that it has a clear understanding of the issues." "As service providers take proactive steps at transitioning to cloud services and becoming part of the value chain of data center virtualization, they are looking at two key factors, profitability and increasing revenue," said Ray Mota, chief strategist for Synergy Research Group. "The Cisco Unified Service Delivery solution is designed to increase speed to new revenue, simplify service delivery, provide a more secure experience and reduce costs while addressing data center longevity and efficiencies." "Cisco and VMware have been working together to help our mutual customers address their data center and virtualization needs, and we are excited to see this collaboration extended to address service provider customers," said Shekar Ayyar, vice president, infrastructure alliances, VMware. "As a key VMware partner and supporter of the VMware vSphere 4T platform, Cisco has partnered with VMware to help service providers reduce costs, improve flexibility and increase availability for customers through joint solutions as they move toward cloud computing." "The unification of the data center and the IP Next Generation Network is a natural progression not just in the evolution of networking - it also builds the foundation for innovative service providers such as Terremark and iTricity to enable them to optimize their networks toward delivering new revenue-generating cloud-based services," said Kelly Ahuja, senior vice president and general manager, service provider routing technology group, Cisco. "Cisco is uniquely suited to provide the infrastructure to make the Unified Service Delivery solution a reality and also provide the commitment and stability to be the partner of choice for service providers, for many years to come." Read Synergy Research Report: "Unified Service Delivery: Case for Migrating to Virtualization and Cloud Services"
The broadcast can be accessed at the URL below. No registration required. 5.Follow the instructions that appear on your screen to join the teleconference.